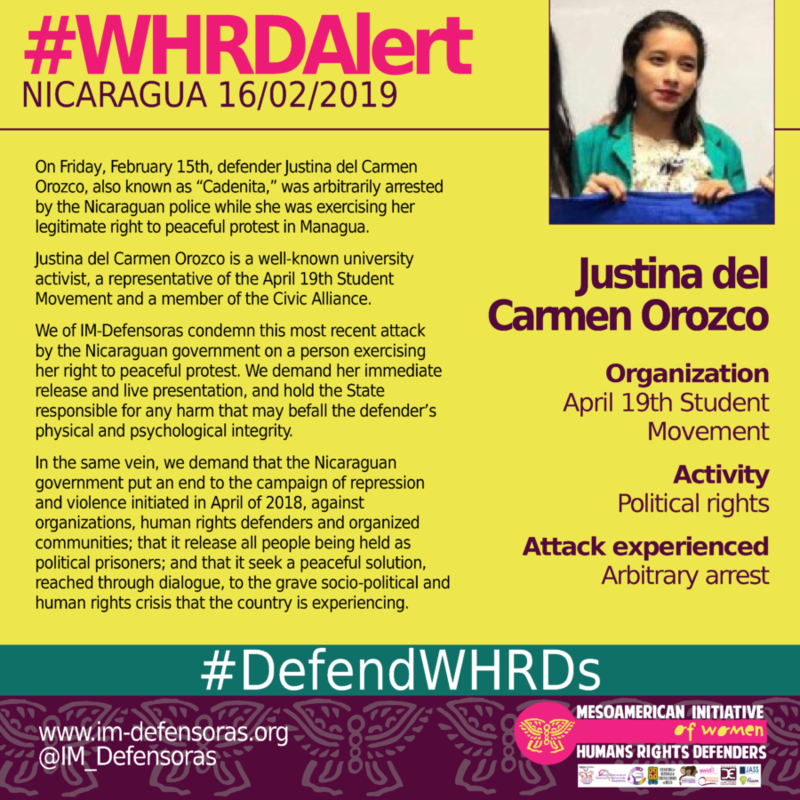 THE FACTS – On Friday, February 15th, defender Justina del Carmen Orozco, also known as “Cadenita,” was arbitrarily arrested by the Nicaraguan police while she was exercising her legitimate right to peaceful protest in Managua. 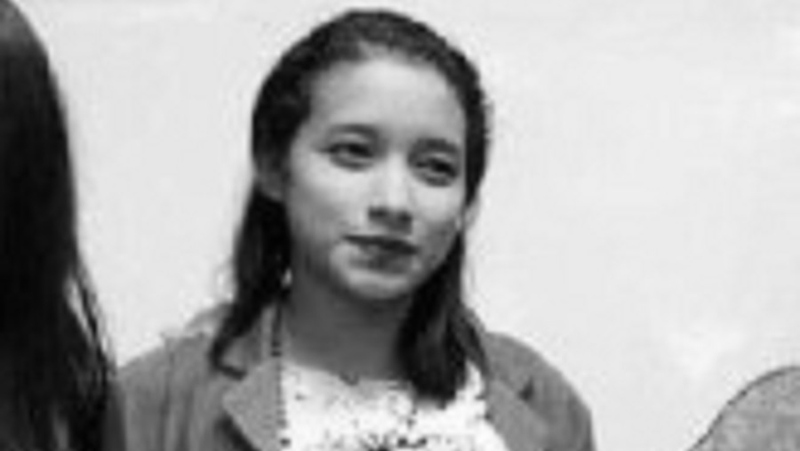 Justina del Carmen Orozco is a well-known university activist, a representative of the April 19th Student Movement and a member of the Civic Alliance. We of IM-Defensoras condemn this most recent attack by the Nicaraguan government on a person exercising her right to peaceful protest. We demand her immediate release and live presentation, and hold the State responsible for any harm that may befall the defender’s physical and psychological integrity. In the same vein, we demand that the Nicaraguan government put an end to the campaign of repression and violence initiated in April of 2018, against organizations, human rights defenders and organized communities; that it release all people being held as political prisoners; and that it seek a peaceful solution, reached through dialogue, to the grave socio-political and human rights crisis that the country is experiencing.